Backing onto Dulwich Park, this Edwardian property is another good example of a tired and dated house, defined by small and awkward rooms. Together with our client we have been able to realise the house’s full potential with careful and occasional interventions. Being in the heart of the Dulwich Estate, the front elevation has been restored to its original state, with new windows and doors being hand made to match the original designs. 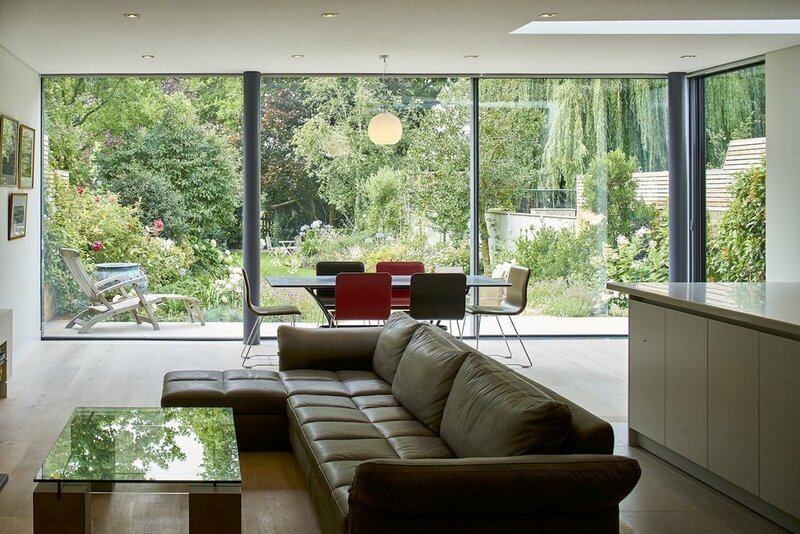 A sensitive ground floor extension has opened up the back of the house, whilst clever infills along the side of the property maximise the floor plan, without compromising the existing footprint. Externally the garden has been redesigned to flow seamlessly into the living spaces and take advantage of the parkland setting. Internally, a great deal of care has been taken to preserve and upgrade the original decorative features of the house, whilst subtly introducing contemporary spaces. The hallway and living rooms have been opened up to provide clear views to garden, through intricate timber screens and minimal framed glazing. 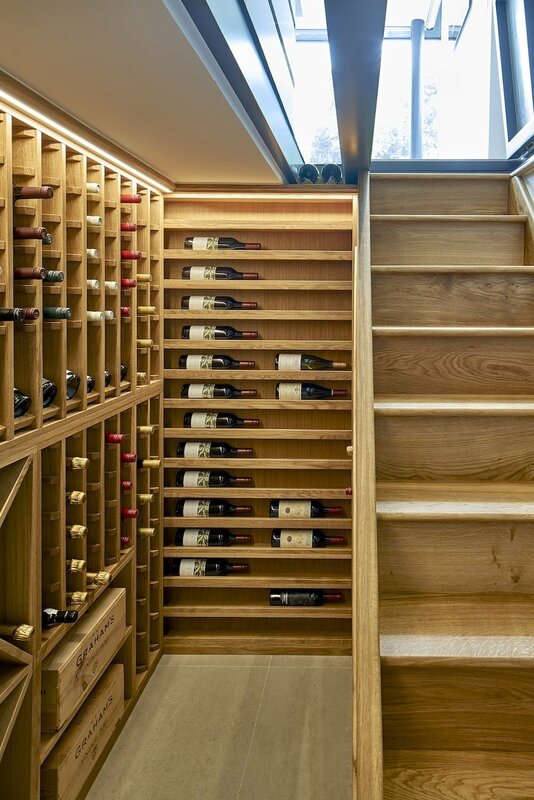 The new extensions incorporate clean lines and frameless sky lights; a sleek kitchen hides a pneumatic door in the floor, that opens to reveal a sunken bespoke wine cellar where once stood a dank basement. The new bathrooms and en-suites also continue the minimal detailing and bespoke joinery whilst the bedrooms maintain to reflect the Edwardian detailing. The resulting plan is a real achievement in showing how modern living can be achieved in old properties, without having to dramatically adjust internal spaces. Careful planning and quiet interventions have created a theatrical home that celebrates both the Edwardian heritage and contemporary detailing and ideology.